Hey girl, Ryan Gosling is in a new gangster movie. He plays a Los Angeles detective who is part of a secret under-the-table squad (headed up by Josh Brolin) that tries to take down a local division of the east coast mafia that’s run by Mickey Cohen (Sean Penn). He gets to wear stylish clothes and be all charming and stuff. And best of all, he’s paired up once again with Emma Stone, with whom he had amazing, white-hot chemistry in Crazy, Stupid, Love. Lucky guy. But don’t get too excited, because in Gangster Squad, Gosling is not the cool guy we’ve come to expect, and his scenes with Stone are lukewarm. Blame it on the squeaky voice that Gosling uses if you want. I’m blaming it on the movie itself, which is big and loud, and employs nearly every gangster-movie cliché you’ve seen before in much better movies. 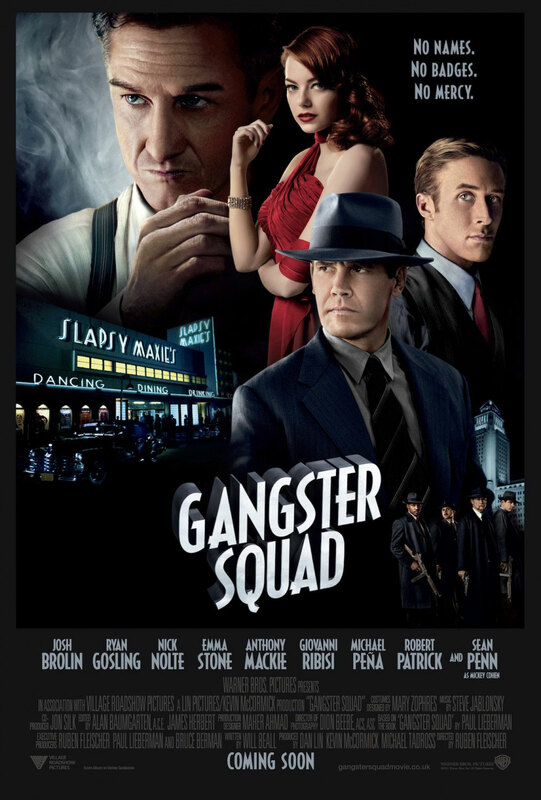 Maybe you’re confused: Wasn’t Gangster Squad supposed to be in theaters last summer? Yes. But in the wake of the shooting in an Aurora, Colo., movie theater, Warner Brothers delayed it a few months and re-edited it to remove a scene in which gunmen open fire on the audience from behind a movie screen. Other scenes were rewritten or reshot as well. It was a smart decision at the time, but now, in light of the Newtown, Conn., shooting, the film seems just as poorly timed. That said, there’s never really a good time to release a bad movie. Which is probably why it’s being dumped on audiences in January, when it’ll get overshadowed by all the much more worthy Oscar-nominated films already playing. 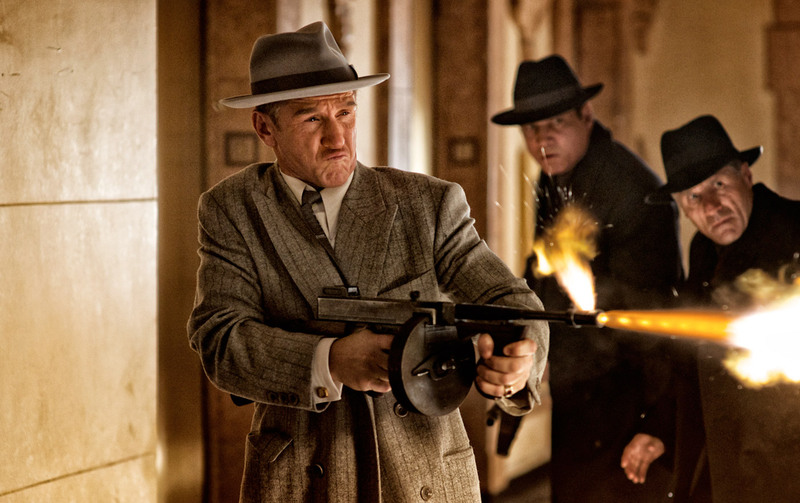 Gangster Squad isn’t action-packed as much as it is violent, with lots of gunplay. It features a lame screenplay, underdeveloped characters, Penn chewing scenery like he hasn’t eaten in weeks, and near fetishistic period details and production design that are supposed to be cool, but just end up masking the deeper vacancies of the story and acting. The film is additionally disappointing given the impressive cast (which also includes Nick Nolte, Michael Pena, Giovanni Ribisi, and Anthony Mackie). To quote Shakespeare, Gangster Squad is “a tale of sound and fury, signifying nothing.” So hey girl, I’m giving the movie a C. Go see something else. Is Gangster Squad on your must-see list? Share your thoughts in the comments section below.